Computational (especially MCMC) approaches to redistricting are starting to get substantial traction in courts, and all of them start by modeling a state as a graph to be partitioned. But what is the right graph to represent the voters of a state in a way that makes it possible to consider all of the principles and values that matter to redistricting? And what are the properties of these networks of voters? I'll describe some of what is known and pose a lot of open questions. 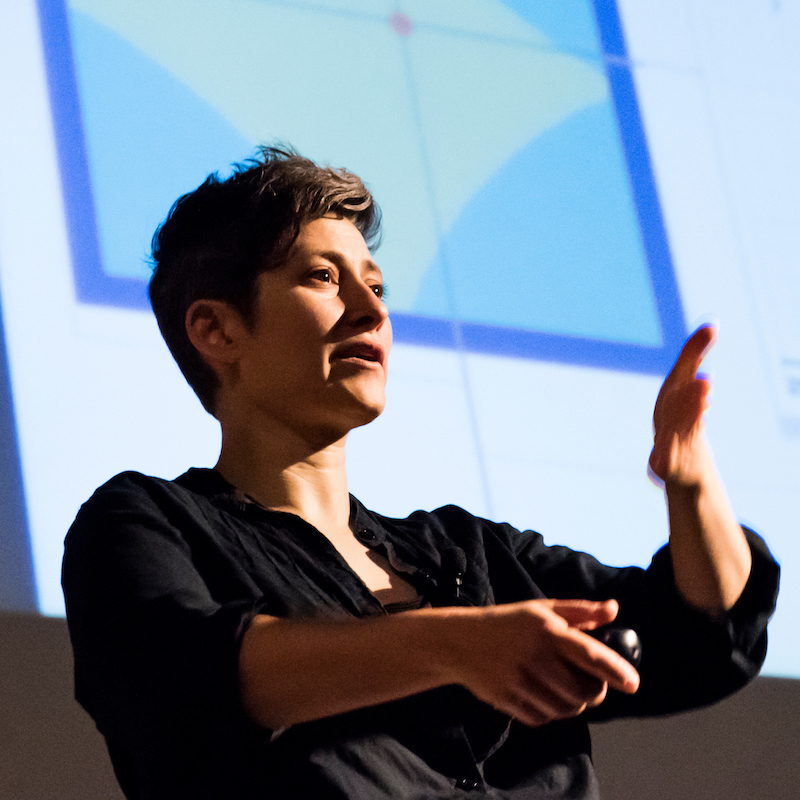 Moon Duchin is an Associate Professor of Mathematics at Tufts University. Her mathematical research concerns geometric topology, geometric group theory, and Teichmüller theory. Moon earned her PhD at University of Chicago in Mathematics, under the supervision of Alex Eskin. In 2016, she was named a Fellow of the American Mathematical Society "for contributions to geometric group theory and Teichmüller theory, and for service to the mathematical community”. Moon was a Mathematical Association of America Distinguished Lecturer for that year as well, speaking on the mathematics of voting systems. Moon is also interested in the history of science, and is one of the core faculty members of Tufts's Science, Technology, and Society program.